Here's a weird situation: There is no app icon on your iPhone's1 home screen for an app you want to use, but when you go to install it from the app store, all you see is an "open" button instead of "install" (or the download from iCloud button.) Is the app installed or not? I found myself in this predicament after stopping an iTunes app syncing midway through the sync. In my case the app was Snapchat, and I was very frustrated! In my case, I had just restored from a backup, so the app data was on my phone but the app itself wasn't. We also have suggestions for much more benign causes of this problem. Here's the steps you can take to fix this problem, and get the app fully installed so the icon reappears on the home screen. 3) Think momentarily about whether this app has critical data stored on it. If so, I would recommend making a backup of your iPhone before proceeding, so you have any data for the app stored somewhere. Be sure to say yes if iTunes asks if you want to back up apps! 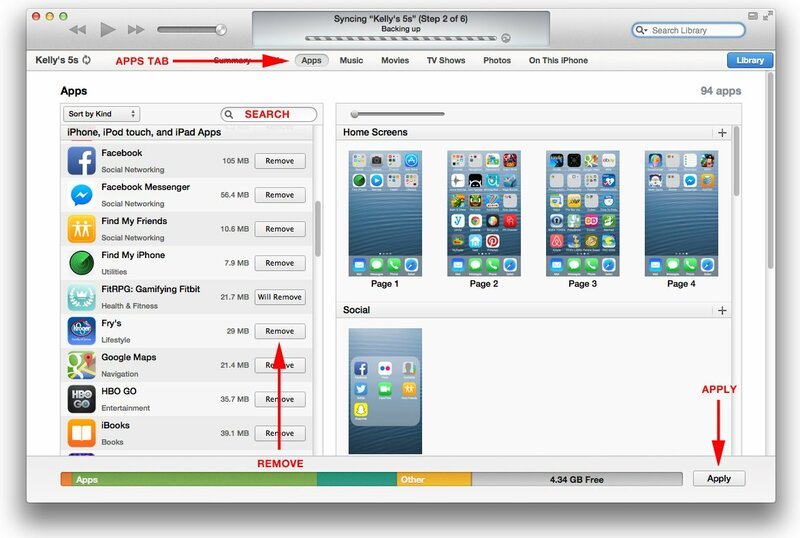 4) Plug your iPhone into iTunes, and look at the Apps tab. Search in the list of apps on the left for the app that is giving you grief. Press the remove button next to the app. Then press "Apply" in the bottom of the iTunes window to trigger an iTunes sync. After that, any trace of the app should be removed from the phone. 5) Try to find the app again in the app store. You may need to back out of the screen about the app and go back to it to force the page to update.